Oliver is such an easy character to relate to. I'm sure we all have weird quirks and insecurities just like him. I was so happy with the banter between all the characters that I didn't even notice when I was almost finished with the book. It was that good! I think my favorite characters would have to be Viney. I don't think the book would've been that amazing without him. I have a thing for supportive friends that know you even more than you know yourself. Is it wrong if I want Viney to have his own story? I would like to get into this character's head to know him better. I want to know what Viney would be like if he ever fell in love. In this book, we meet Oliver, who has a thing for lists. 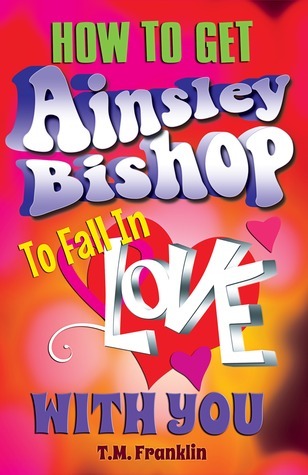 He's decided to make a list on How to Get Ainsley Bishop to Fall in Love with you (hence, the title) but there's the whole issue of Ian (Ainsley's boyfriend). I don't like the concept of going after someone else's boyfriend or girlfriend, so I was really scared that I was going to end up hating this book, but I was totally wrong. It helped that Ian was a jerk. I don't feel bad for jerks! :P Oliver is so ridiculously awkward and flustered around Ainsley that it was hard not to laugh at his antics. I also loved the family dynamics in Oliver's household. Sherlock (Oliver's brother) is hilarious!